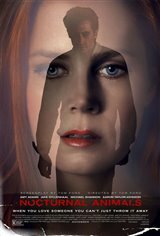 One day, Susan (Amy Adams), an unhappy art gallery owner in a crumbling marriage receives a package from her ex-husband Tony (Jake Gyllenhaal), whom she left 20 years earlier. Inside is a book manuscript called "Nocturnal Animals," with a note that says she inspired him to write it. He also for her opinion about it. Left alone in her mansion while her current husband is away on a business trip, Susan begins to read it and quickly becomes obsessed with the script, which revolves around a man who takes his wife and daughter on a family vacation. When they're threatened by punks who ram their car while driving, the trip turns deadly. The men abduct his wife and daughter and leave him in the desert. Susan, who ended her marriage to Tony in a hurtful way, interprets the violent thriller as a secret threat of symbolic revenge, and finds herself recalling her past marriage, while confronting some dark truths about herself.